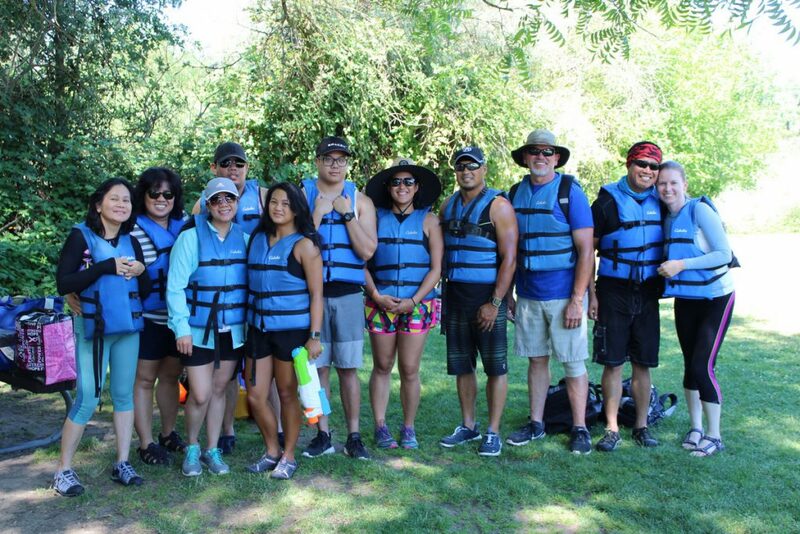 To document the history of Knights Ferry is to document the history of the Stanislaus River, as the two have been intricately connected since people chose to settle the land of Northern California. California sits on the Pacific Ring of Fire, and many years ago a volcanic eruption set into motion a series of events which has yielded the present-day area. Volcanic eruptions from the Sierra Nevadas led to rivers of lava that flowed into the valley and created monuments such as Tabletop Mountain which can be seen on the way to Jamestown, as well as the Two Bluffs area which can be seen along the Stanislaus River today. In essence, these lava flows created the path which is now the Stanislaus River. Knights Ferry as it is known today was first settled by Dr. William Knight in the spring of 1849. Dr. Knight, aside from being a doctor, was a prominent fur trader that founded other towns in Northern California such as Knights Landing. The site of Knights Ferry was chosen as it was an appropriate area to house a ferry that would cross the Stanislaus River, and thus provide Knight with a profitable venture in a yet undeveloped part of California. 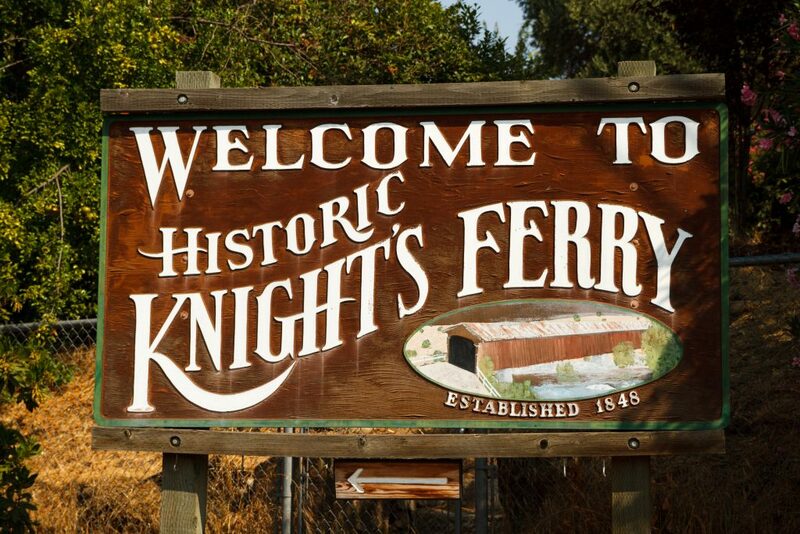 Knight soon partnered with a local, James Vantine, and with the help of an old whaling vessel, created a ferry that would be the staple of business in Knights Ferry. Located conveniently between the port of Stockton and the Sierra foothills which were at the time rich in gold, Knights Ferry became a hot-spot to cross the river, and during the gold rush saw profits as high as $500 dollars per day (which would yield a present day gross of over $12,000!) Unfortunately for Dr. Knight, his foresight as an entrepreneur did not yield him great profits as he was murdered in the middle of town in late 1849. From there Vantine partnered with a local, Dent, and the old whaling ferry was replaced with a more modern ferry. In 1854 Knights Ferry saw another substantial business go up as David Locke set up a flour mill (the ruins of which can still be seen today). As the flour mill became a huge success, Locke eventually bought out Dent and retained the control of crossing the Stanislaus at Knights Ferry. Instead of keeping the ferry, however, Locke brought the idea of a bridge to the people of Knights Ferry, and in early 1857 the first bridge spanning over the river in Knights Ferry became functional. This bridge, however, is not the bridge that is seen today. Under conditions that now seem unfathomable, a heavy winter and a early warm spring rain created an abundance of water in the Stanislaus, and flood waters raged through Knights Ferry at levels that were close to 35 feet over present-day low water marks (As you raft between the two bluffs, the river nearly reached the tops of the cliffs during the spring of 1862!). Fortunately the bridge was built sturdily, and the water could not take it down. Unfortunately, the bridge upriver at two-mile bar was not built as sturdily and eventually washed down and destroyed the old Knights Ferry Bridge. This series of events led to the creation of the bridge that can still be seen in Eastern Knights Ferry. 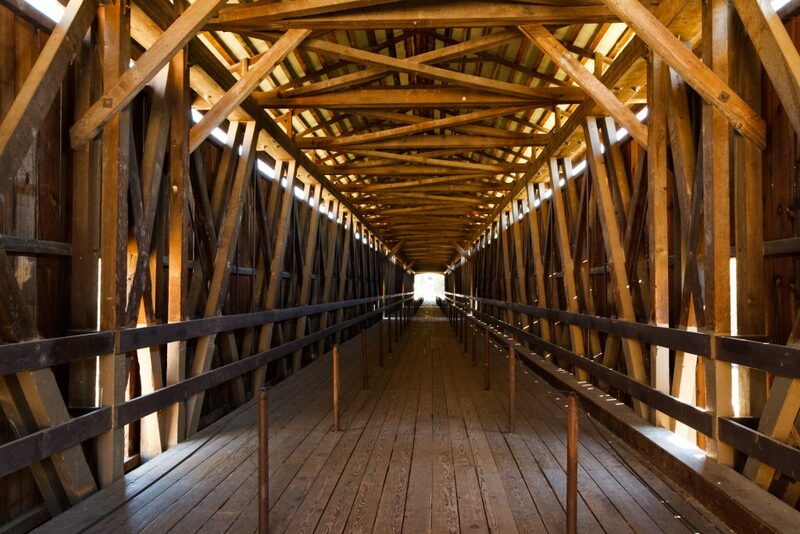 The present day covered bridge (which is a must-see if you are in the area) built in 1863, spans 330 feet and is the longest covered bridge west of the Mississippi. As successful as the building of the new bridge was, however, Knights Ferry’s prosperity that was seen during the gold rush began to fade, as commercial roots began to move closer to Oakdale and Modesto. In 1871 Knights Ferry relinquished its status as the center of government for Stanislaus County, and when the Stockton-Visalia railroad station was posted in Oakdale, Knights Ferry quickly lost the power it once held when it controlled the river crossing. Eventually Locke sold the flour mill, and the mill was eventually transformed into a power plant owned by Stanislaus County. So too the county bought the rights to the covered bridge in the mid 1880’s. As the 20th century rolled in, Knights Ferry gradually moved away from the limelight and became the community it is today. 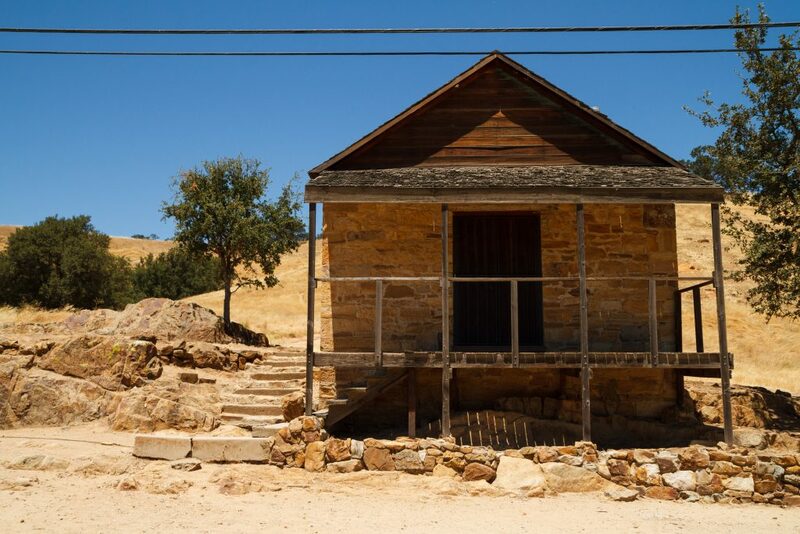 Many of the relics of the gold-rush, the old mill, the covered bridge, the fire station, as well as general stores and hotels, can still be seen in present day Knights Ferry. The general store has been in operation for over 100 years as well as the local bed and breakfast. A makeshift iron jail that is over a century old resides to the east of the “center” of town- although this is (thankfully) no longer in use. The covered bridge, which has undergone a few renovations since its building, closed to automotive traffic in 1981 (even after nearly 100 years the bridge still easily could carry machines that were unimagined at the time of its building! ), but the public is still welcome to cross the bridge on foot. 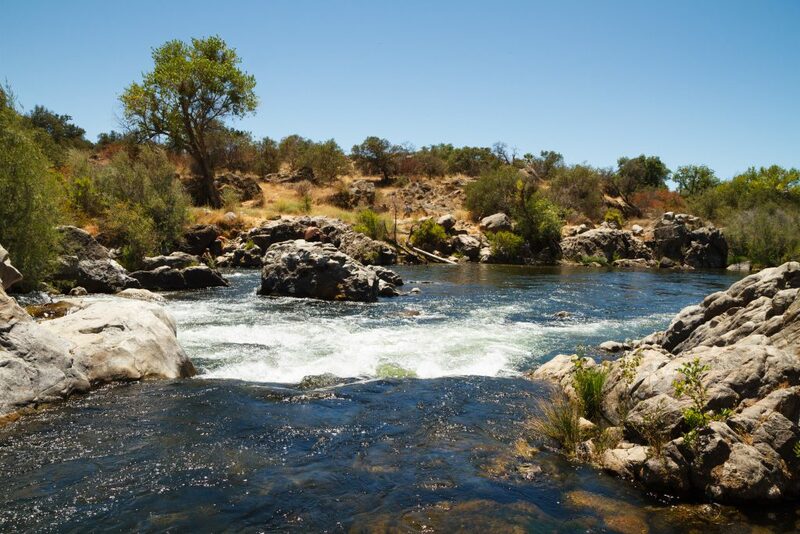 Today Knights Ferry is a small tight-knit community that varies its look depending on what time of year you visit. During the later fall months, as the Stanislaus River begins to drop, one can see the salmon run upstream as they molt. Nearly extinct in the early 1990’s, local park and recreation efforts have created environments in which the salmon now thrive. 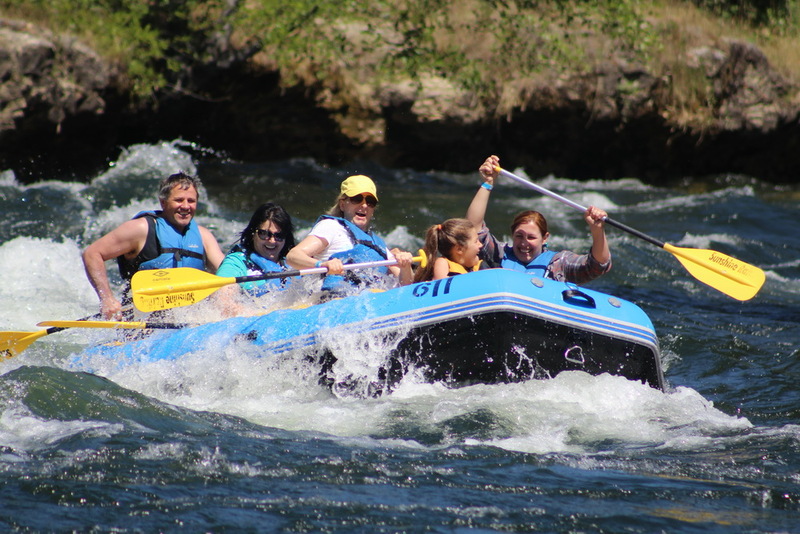 During the spring and summer months, the Stanislaus River swells and provides an excellent place for amateurs and locals to test their rafting skills, and the popular Knights Ferry to Orange Blossom rafting run can see an influx of over 1,000 people per day on busy weekends. If you want to learn a bit more about hiking, eating, or the history of the area, please check out the informational Knights Ferry, California website.